Emma Marshall is the 2018-2019 Law Liaison for the AP-LS Student Committee! Emma is preparing for the 4th Annual Legal Workshop at the Conference in just a few weeks. She is the voice of law students on our committee and is excited to share the First Amendment with you all on Thursday, March 14th at 10:30AM! Emma answered some questions for us. If you could only have 3 non-psychology books on your bookshelf, what would they be? Wait, did they kick me out in this hypothetical? If so, I would likely try to do something with the whole law school thing. But if I had never gone to graduate school in the first place I would like to think I would be working at an Escape Room by day and at a Cheers-style bar by night. What is one professional goal you have? To conquer the whole imposter syndrome thing. I ran for a position because I genuinely enjoy being hyper-involved in organizations like AP-LS and wanted to give back to a community that has helped me so much in my career thus far. Also, I enjoy designing silly T-shirts and I hoped this committee would vest me with the power to do that. Because when I was a 20 year old directionless college sophomore I was lucky enough to stumble my way into a Psychology and Law course taught by the inimitable incoming AP-LS President Dr. Jennifer Groscup and she got me hooked for life. Who is one professional and one personal role model? Clinical psychologist Dr. Lauren Kois knows exactly what it’s like to be a student at the Annual Meeting of AP-LS. After receiving her master’s in psychology at New York University, she served as the Chair of the AP-LS Student Committee as a first-year doctoral student. Several years of conference attendance later, Dr. Kois received her Ph.D. in clinical psychology (with a forensic focus) from John Jay College at the City University of New York. In 2017, she accepted a position as an Assistant Professor of Psychology and core faculty of Clinical Psychology (Law Track) at the University of Alabama. Read on to discover what this early career professional has learned about the unique experience of being a student at AP-LS and how students can make the most of their time there. Why should students interested in forensic psychology attend AP-LS? There are great psychology-law organizations out there, such as the International Association of Forensic Mental Health Services (IAFMHS). Each organization has its own style. AP-LS has a good balance of "experimental" and "clinical" topics, focuses on empirical work, and is the premier forensic psychology organization in the field. It also cares a great deal about students and puts a tremendous amount of resources into student support. What can students do to get the most of out the conference? Everyone has a different approach to conferences. This may not be a popular opinion, but here's mine: As a student, you should go to everything. This is what I encourage my students to do. Fill your days with talks, go to the events, and meet people. If your lab studies a topic, you should go to talks in that area. If you don't, you might unintentionally give the impression that you are disinterested or lack curiosity. You will be exhausted, but the experience will help you be a stronger scholar and get socialized to the field, and that's why you're there. If you have your eye on a specific program or lab, AP-LS is where you can find out some of the research they will be producing over the next few years. The publication process takes a while, so conceptualization and data collection for articles published one month likely took place a year or even years before. If you are interested in a topic or a lab, go to those talks to get a picture of "hot off the press" research. What events should students make sure to go to? Talks and events are important of course, but I strongly encourage students to attend the business meeting, which is usually on Thursday evening before the welcome reception. Leadership (e.g., President, Committee Chairs) provides an update about the status of the Division. They explain what they voted on in their executive meeting, talk about our financial status, and where AP-LS is going moving forward. Sounds kind of intimidating, but I promise it is not—all are welcome, it is very casual, and people are friendly. 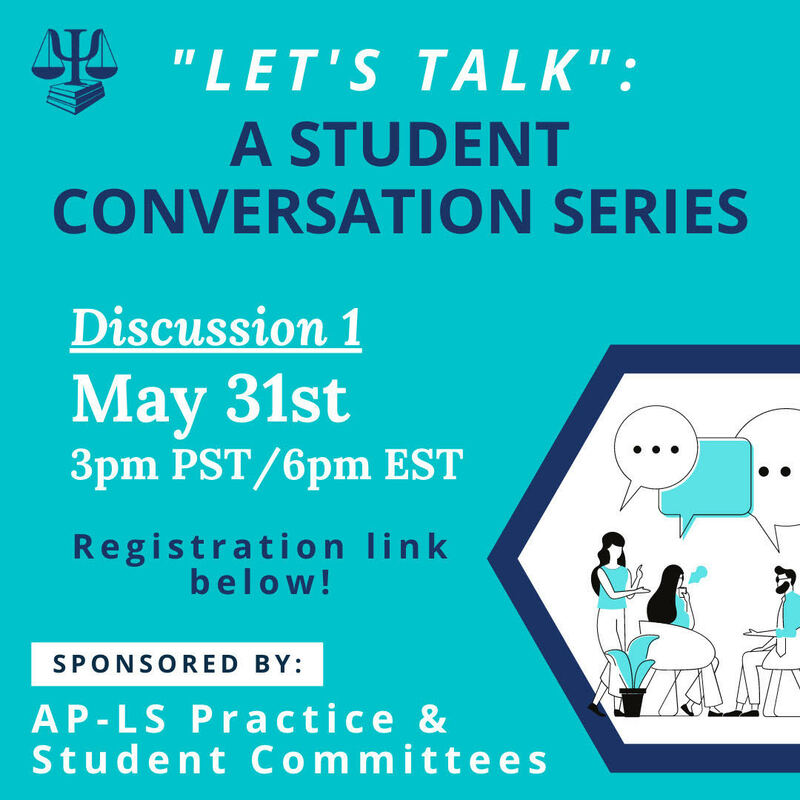 It's a great way to get socialized to AP-LS and realize that you (yes, you!) really do have the opportunity to get involved in AP-LS leadership. How can networking at the conference help students in reaching their academic and career goals? I think AP-LS has a lot to do with where I am today. Networking, getting inspired by talks, and the Student Committee were huge for me. I cannot plug it enough – get involved in AP-LS leadership! Run for student committee or a committee liaison (e.g., Professional Development of Women Committee). Committee service is fun but also a great way to network. Several of my close friends are those I met from serving on the Student Committee and we even got a peer-reviewed publication about AP-LS student leadership out of it (Kois, King, LaDuke, & Cook, 2016). How exactly should students go about networking and introducing themselves to influential professionals? What are some common mistakes that students make in doing this? This can be tough. For many AP-LSers, the conference is a chance to be with friends (e.g., grad school classmates) they only see once per year – at AP-LS. So, while professionals are usually very student friendly, it's important to remember that they are likely there for a number of reasons. It's nice when students ask questions during paper Q&As, or approach after a paper session or during a poster session. For me, though, I want to spend most of the welcome reception and social hours catching up with friends and past students and advisers. What would you say to students who feel awkward or socially anxious about networking? My first AP-LS was 2011. I was the only student from my program who attended AP-LS that year, with one faculty member. I looked around and saw that many of the professionals seemed to be friends, and I knew that couldn't be because they all attended grad school together. So, I thought, "Well, if we're going to be friends in 15 years, why don't we just do it now?" The Student Committee breakfast will help you link up with other new people right off the bat, and poster sessions are a great place to start conversations. Given that it's typical to ask questions about posters, it's unlikely that someone will think you are intrusive or pushy if you strike up a conversation at that time. What is conference attendance like as an early career professional compared to when you were a student? Much better! The primary difference is that I have more friends I look forward to seeing, but that's simply from having more AP-LSs under my belt and meeting new people each time (see, it really works). Another difference is that I get to see my students present and their professional development grow, which is incredibly rewarding. Please do not forget that there are about 1,000 conference attendees in the same city as you, in your hotel, on your flight. Students sometimes forget this. Have fun, be nice, and keep your professional game face on. As a student member of the American Psychology-Law Society, you can take advantage of several benefits that we have to offer. Throughout the year, we will be highlighting different resources available to you and how to make the most of them beyond the Annual Conference. This first edition of the series introduces you to one of our many resources offered via our website: webinars and blogs. Several times per year, the Student Committee hosts webinars that cover topics on professional development and disseminating timely and relevant research. In the past, webinars have covered mentorship, the role of psychologists in asylum evaluations, and the academic job search. We understand that our members are located across the world and busy working, so each webinar is recorded, published, and available for you to view in our Webinar Archive. Scroll down to view a list of previous webinars. We're constantly working to update how we deliver this content to you, so be sure to check back! The Student Committee also hosts The Intersection: A Blog, where we discuss programming and highlight what we are doing at the intersection of law and psychology. To find the blog, simply go to the home page, choose “more” and then “The Intersection: A Blog” or click here. There’s something there for everyone and is an excellent place to learn about what your fellow student members are up to. In our Getting to Know Your Officers series, you can learn more about the Student Committee members. We’ve also published our guide for undergraduates on surviving the Annual Conference. 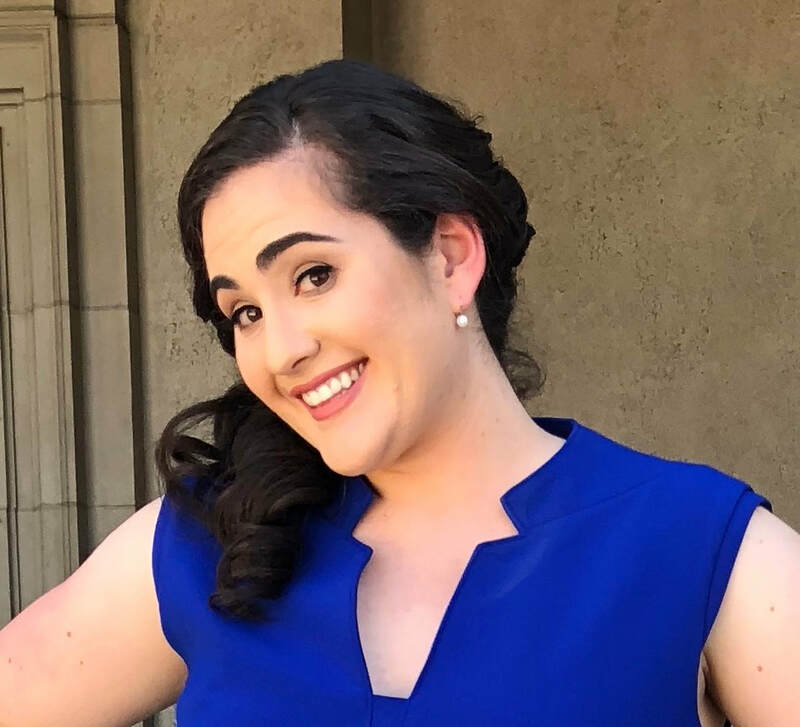 Haley Potts is the 2018-2019 Clinical Liaison for the AP-LS Student Committee! 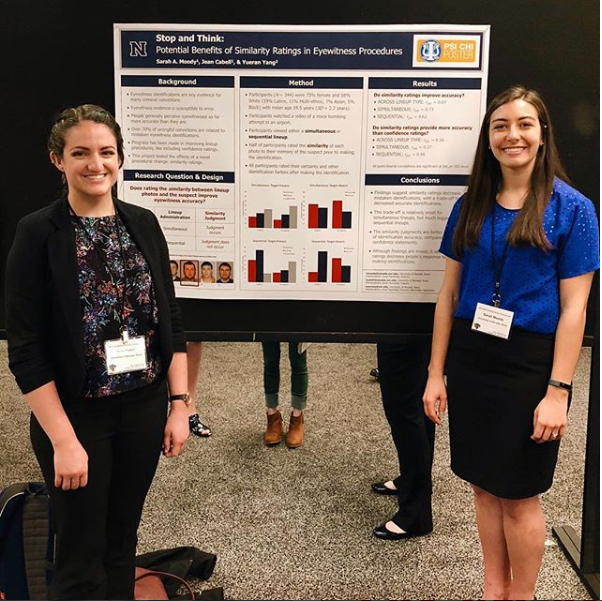 Haley has been working hard this semester to update the Clinical Post-Doc database for you and moderated an amazing webinar on the benefits of clinical forensic post-docs and the application process. Haley took some time to answer some questions about herself for us. I've always wants to work in a florist shop. Flowers make me irrationally happy. To achieve Board Certification in Forensic Psychology by the American Board of Professional Psychology (ABPP). My mentor (Dr. Lauren Kois) was the Chair of the Student Committee when she was in graduate school, and she encouraged me to apply for a position. I have always considered AP-LS to be my niche organization, so it didn't take much encouragement. What advise would you give undergraduate students thinking about graduate school? Don't be afraid to aim high but be realistic and have one or more backup plans. Also, network as much as possible with anyone who has a connection to the programs you're interested in. Networking sounds daunting but really it just means talking to people about why their work interests you, and most people love to talk about themselves. ​Dr. Patricia Zapf is a professional role model of mine. She spoke over video feed in one of my classes, and I was amazed by all of the professional projects that she has going on at once. One personal role model is Leslie Knope from the show Parks and Recreation. She has so much energy and drive, and she is always willing to admit to admit her mistakes. 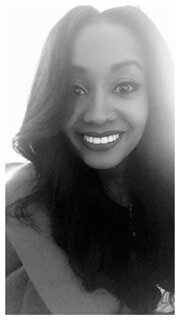 Get to know your student committee: Ariel Breaux! Ariel Breaux is the 2018-2019 Campus Representative Coordinator for the AP-LS Student Committee! Ariel keeps are the Campus Representatives up to date on the APLS happens to share with the rest of the students in their program. She worked hard this summer to update our list of campus representatives and get more information from them about their needs. Ariel took some time to answer some questions so we could all learn more about her. Thanks, Ariel! Over the years before going into graduate school I noticed the discrepancy in the availability of mental health services for individuals involved in the legal system, specifically little to no mental health services until mandated by court or while incarcerated. I realized that forensic populations are often filled with individuals that need these services the most, which motivated me to direct my energy into clinical work in correctional and other forensic settings. My one professional goal is actually a new goal I’ve set for myself. I want to work towards getting more involved with mental health policy and eventually having a position that allows me to be more involved in working to change or fix some of the systemic problems seen in the criminal justice system. My favorite city has to be New Orleans, LA. I went to college there and seeing the melting pot that is the city of New Orleans, LA, both good, bad, and ugly, helped me to become more culturally competent and inspired me to learn more about other’s cultures, as well as being open to learning from those I interact with. For the most part my aspirations have always involved graduate school in some shape or fashion, but if I graduate school was not an option, I would likely be involved in musical theatre in some shape or fashion. I’ve always had an affinity for theatre and regret not being more involved after college. Jill is a second-year PhD student in Clinical Psychology with a forensic concentration at Montclair State University. She recently had a first-authored paper accepted in Aggression and Violent Behavior. Congrats, Jill! Title: Violent Behavior in Autism Spectrum Disorders: Who's at Risk? Abstract: Autism spectrum disorders (ASD) are a range of complex neurodevelopmental disorders characterized by social impairments, communication difficulties, and restricted, repetitive, and stereotyped patterns of behavior. Over the last decade, there has been increased media attention focused on the relationship between ASD and violent behavior due to a number of school shootings and high-profile criminal cases involving offenders with alleged ASD diagnoses. This coverage and these incidents have given rise to public concern and led to the perception that people with ASD are predisposed to violent behavior. In this manuscript, we provide a comprehensive review of the literature bearing on the relationship between ASD and violent behavior, and in doing so, characterize which people with ASD are most likely to be violent and under what circumstances. We conclude that, on the whole, while research findings are mixed, they lend support to the assertion that ASD does not cause violence, and indicate that when violent behavior occurs in people with ASD, it is the result of third variables including poor parental control, family environment, criminality, bullying, or psychiatric comorbidity (e.g., psychosis), that go undetected or untreated. The conclusions of this review have implications for families, clinicians, and policymakers, as a greater understanding of ASD-related violence risk is needed to combat misconceptions about people with ASD and the stigma associated with these conditions. Emily is a first-year student at Indiana University, pursuing a PhD in School Psychology. She presented her research at the annual meeting of the AP-LS in Seattle, WA in 2017. Congratulations, Emily! Abstract: Compassion fatigue is defined as a worker’s diminished ability to empathize with clients (Adams, Figley, & Boscarino, 2008). It is common among “helping workers” and can result in psychological detachment from clients as a coping mechanism (Dane, 2000). In the present study, we explored the relationship between social workers’ compassion fatigue and years of job experience on child custody case judgements. Participants read a vignette depicting a mother who had lost custody of her son due to neglect allegations, but was attempting to regain custody. Supporting hypotheses, as compassion fatigue increased, recommendations that the mother receive custody increased. Additionally, increased compassion fatigue was associated with increased beliefs that reunification was not in the child’s best interest (e.g. the child would have no potential if reunited with the mother) and was simultaneously associated with increased beliefs that the mother was a good parent (e.g. the mother was of high character). As years of job experience increased, recommendations that the mother receive custody increased. Increased years of experience was also associated with increased beliefs that the mother was a good parent (e.g. the mother has recovered from her addictions) and was simultaneously associated with increased beliefs that reunification was not in the child’s best interest (e.g. the child would have no potential if reunited with the mother). The effect of years of experience on custody rulings was mediated by compassion fatigue. This study provides strong evidence that compassion fatigue leads to client detachment, disengaging, and work-related pessimism. 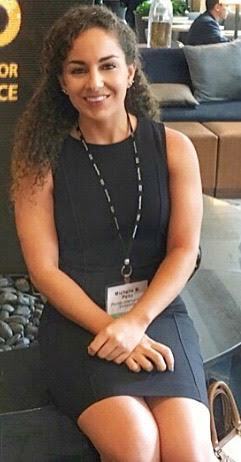 Michelle M. Pena is a fifth year student at Florida International University pursing a PhD in Legal Psychology. 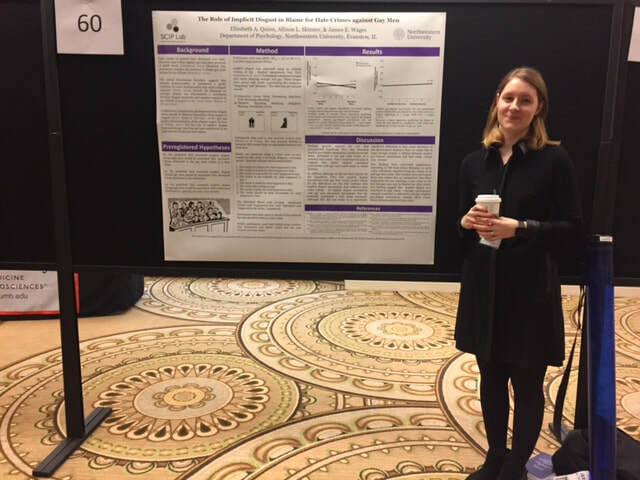 She presented her research at the Annual meeting of AP-LS in Seattle, WA in 2017! Congratulations, Michelle! Blind versus informed interviewing: The importance of visual access to nonverbal behavior. Abstract: National guidelines recommend that investigators review case information before conducting interviews, yet recent research on blind interviewing suggests this may not be as effective of a technique as originally thought. Student-participants played the role of either an interviewer and a witness. Interviewers were informed or blind to case information. Interviews were conducted either face-to-face or with a divider placed between participants so that they were unable to see one another. Preliminary results suggest incorrectly informed interviewers ask more suggestive questions and blind interviewers elicit more accurate information demonstrating that having very little information about the case before conducting an interview may actually be more beneficial. However, preliminary data suggests that there is no significant effect of visual access to nonverbal behavior leaving us with the question, what is driving blind interviewing’s effect?